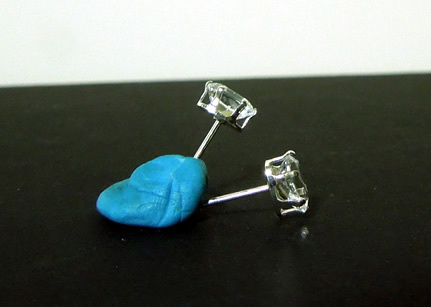 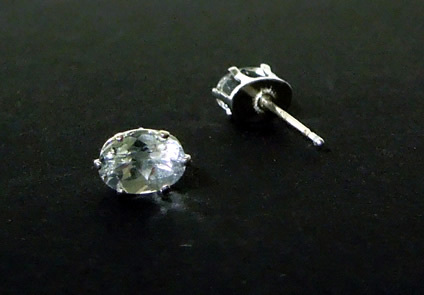 Notes: As with all faceted Herkimer crystals, the stones in these earrings are crystal clear. 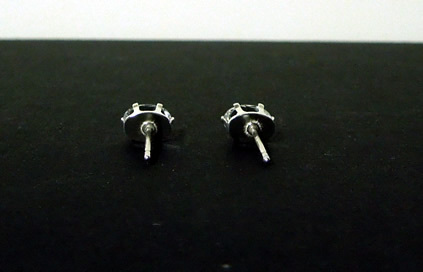 These small oval cut diamonds measure 6x4 mm with a combine weight of 1 ct.
Set in sterling silver, all post earrings come with silver ear backs not pictured. 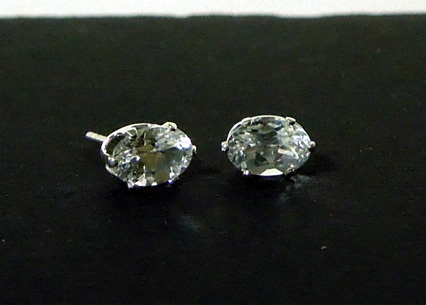 Oval cut Herkimer Diamond earrings.